Workplace safety fears and staffing shortages at the state-run psychiatric hospital has the Alaska prison system bracing to house more and more psychiatric patients in jails. Officials at the Alaska Psychiatric Institute in Anchorage said the facility recently halted admissions amid alarm by a spike in staff injuries over a two-week period from the end of September to early October. Cynthia Montgomery, the acting director of nursing, said administrators decided API could not safely take on more patients without additional staff. At the moment, API is now using only about 50 of its 80 beds. If there isn't room for a patient at API, the next step is placement at another treatment facility, like a local emergency room. 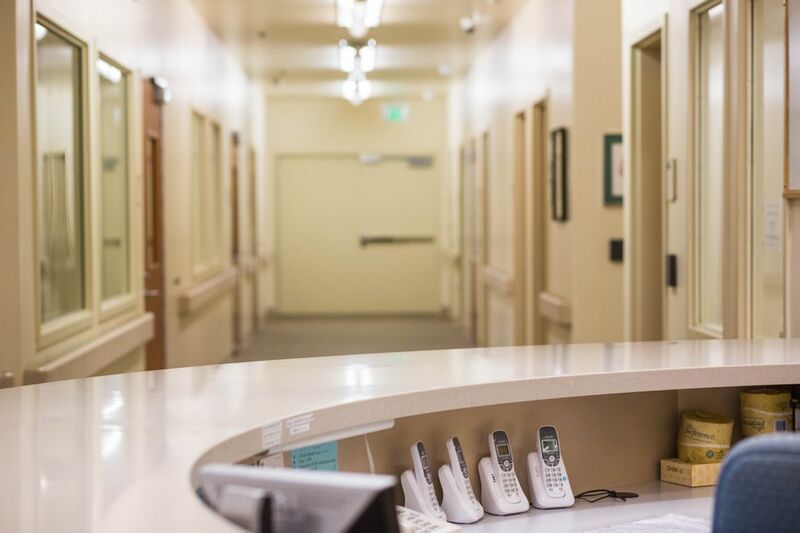 But Anchorage's hospital emergency rooms have been overflowing this year with psychiatric patients, in part because of API staffing shortages. Without hospital beds available, some potential API patients are expected to find themselves held in a mental health unit at a jail, even if they are not accused of a crime. The situation prompted strong alarm and questions about legality from advocates for those experiencing mental illness or disabilities. Stephanie Rhoades, a retired Anchorage Superior Court judge who founded the state mental health court, said in an email that in Anchorage, no civilly committed patients had ever been held in jail while awaiting an evaluation of their condition. "This is a first. It is shocking and outrageous that any person with an illness could be diverted from a hospital to a jail for evaluation and treatment," Rhoades wrote. "There is no way that we would treat a person with a heart attack in this manner if the medical hospitals were full. The treatment of these seriously ill and vulnerable persons is cruel and inhuman." 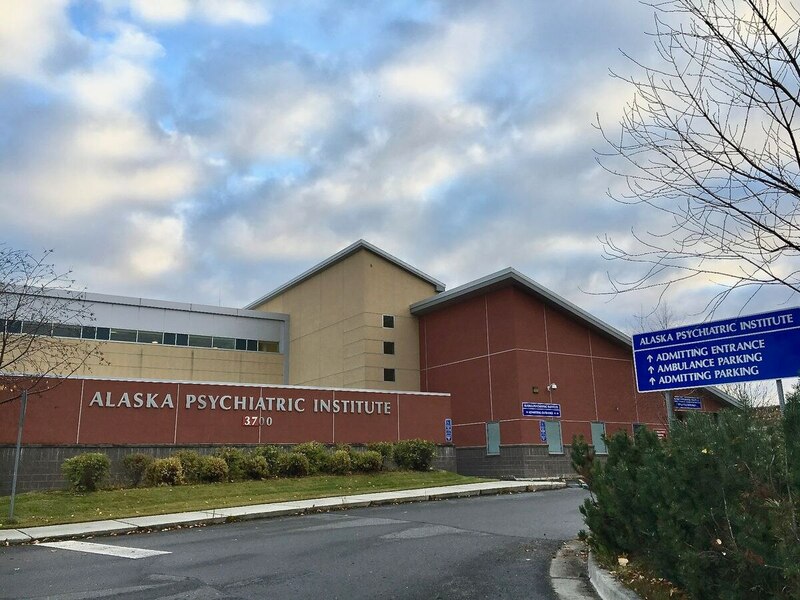 Staff with the Disability Law Center of Alaska visited the Anchorage Correctional Center on Friday morning and confirmed that two psychiatric patients were currently being held at the jail that should have been evaluated at API, said Dave Fleurant, the executive director of the center. 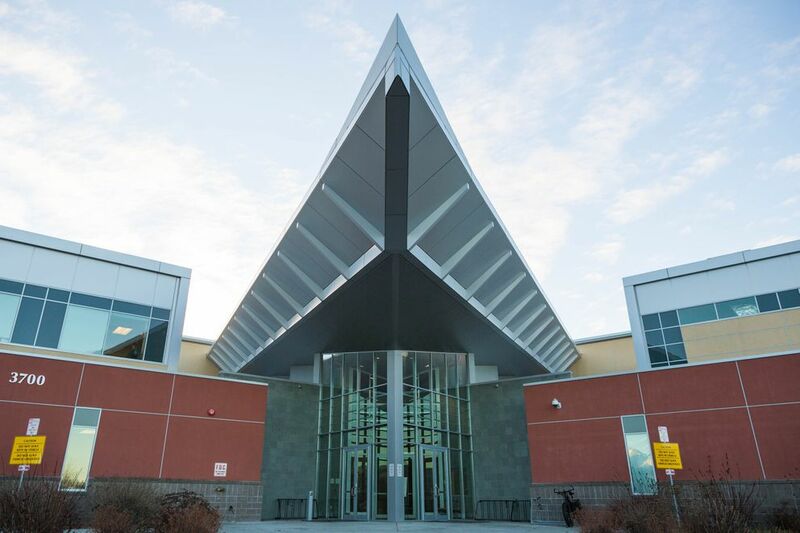 Megan Edge, a spokeswoman for the state Department of Corrections, said two psychiatric patients were being held at the Anchorage jail, a third is at Hiland Mountain Correctional Center and a fourth had been released to a group home. She said patients had been arriving at the jail since Oct. 5. One of the patients had been waiting at the jail for almost a week, Fleurant said. The director of API, Duane Mayes, said this is not the first time API has been at capacity and could not take more patients. He said he planned to use an infusion of $3.1 million in state money to hire close to 50 new psychiatric nurse assistants in the next three to six months. At that point, API will be able to staff all 80 of its beds, Mayes said. But Fleurant, Rhoades and others said that for now, the legal use of the jail as a holding facility was intended for limited circumstances in villages or rural areas with weather delays. "This has happened in the past, but never at this level, and never for an indefinite period of time," Fleurant said. In an internal memo Tuesday, a senior Department of Corrections official said the prison system anticipated it would soon be housing more psychiatric patients who pose a danger to themselves or others. In the memo, Laura Brooks, DOC's health and rehabilitation services director, said psychiatric patients who are waiting for a bed in API can be placed on what's known as a "mental health hold" under the state's involuntary commitment law, Title 47. State law allows the psychiatric patient to be held at a local hospital or correctional facility until a spot opens in a treatment facility, Brooks wrote in the memo, a copy of which was obtained by the Anchorage Daily News. Once a patient arrives at a treatment facility such as API, he or she must be evaluated within 72 hours, under state law. But there is no time limit for those who are waiting to begin the evaluation process, according to Brooks' memo. "With bed space at API extremely limited, and local hospitals resistant to taking (Title 47 holds), we can expect many of these individuals who are awaiting API commitment to end up in our facilities," Brooks wrote to colleagues. "I do not know how many (Title 47) detainees we will see or how long they may remain with us." The memo said the number of beds at API had dropped to 36, though Brooks later said in a later phone interview the number was incorrect and should be 49. While it isn't unheard of psychiatric patients to be placed in jail cells when hospitals are full, that has been regarded as the option of last resort, said Quinlan Steiner, the head of the state public defender agency. "What appears to be happening is that this is just going to be standard procedure," Steiner said. Mike Abbott, the chief executive of the Alaska Mental Health Trust Authority, said Friday his agency was aware of the challenges in the system, and knew many people were working hard to make sure appropriate care was available for people with serious mental illnesses. "But putting people in jail — because there's not a better therapeutic option — is generally not acceptable," Abbott said. Patients who are committed to API may be experiencing a range of conditions that cause them to pose a danger to themselves or others, from an acute crisis such as a suicide attempt to the psychotic effects of drugs to the chronically mentally ill. In her memo, Brooks, the corrections official, described the possible rise in commitments as a fresh challenge facing the prison system. "This is new to all of us so please be patient as we work through a new process," she wrote to fellow corrections officials. Her memo outlined a series of procedures for jails and prisons to follow, including an immediate referral to a mental health clinician and a warning for staff not to use restraints unless a detainee was actively harming themselves and all other de-escalation attempts had failed. In a phone interview Thursday, Brooks said psychiatric patients who come to the Department of Corrections would be placed in specialized psychiatric care wards in the downtown Anchorage jail, Hiland Mountain Correctional Center or Goose Creek Correctional Center in Knik. The patients will not be placed with the general jail population, she said. Brooks also said the patients would be prioritized by the acuteness of their illness. But the jail facilities are not meant to treat psychiatric patients, Brooks said. "The bottom line is, these are jail cells, these are not hospital rooms," Brooks said. 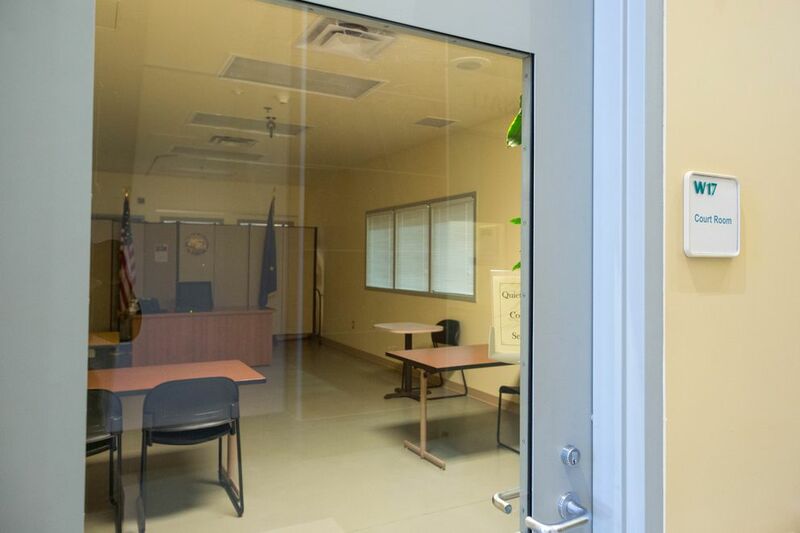 Fleurant, in his Friday statement, called the facilities at Anchorage Correctional Center "jail-like, even in the module for prisoners with mental health disabilities." The shortfall in staffing at API, which officials characterized as short-term, is the latest crisis for an institution that has been struggling for years with management and safety. A September report by attorney Bill Evans corroborated concerns about an unsafe working environment at API, and shortly after, then-director Ron Hale and two top health department officials resigned. Hayes, who was appointed API director after Hale's resignation, said the Evans report heightened his level of concern about patient and staff safety. He said he was working "aggressively" to fill the new nursing jobs in the next few months. Some patients need two nurses and full-time monitoring. He said the state has boosted nurse salaries and is also offering a $10,000 signing bonus. Montgomery, the acting director of nursing at API, said the recent spike in staff injuries was the main factor in the decision to turn away patients. She said the hospital recorded 22 staff injuries by patients in a two-week period from the end of September to early October. Over the same periods in August and July, there were 11 injuries, Montgomery said. Laura Russell, a behavioral health policy adviser with the state Division of Behavioral Health, said API is constantly assessing the number of people it can safely care for. "We are at the capacity that our resources can handle at this time," Russell said. But so are local emergency rooms. An Anchorage Fire Department website that shows hospital status listed the emergency rooms at all three major hospitals as "closed" to psychiatric patients. That means the hospitals have alerted police and paramedics that it is no longer safe to continue delivering patients to the emergency rooms, and officials should seek other treatment facilities first. Steiner, the public defender, said the short-term question is whether hospitals can somehow accommodate these patients so they don't have to go to jail. In the long term, other advocates said the solution is not a bigger hospital but better supports and care for people with mental illness to avoid crises in the first place. Fleurant, the executive director of the Disability Law Center, said in a Friday statement that detaining civilly committed individuals in jails was unconstitutional. He said the prospect of a lawsuit was being researched. "This is how we buy ourselves, as a state, some time," Fleurant said in an interview. "We lock up our patients. And I can't believe there isn't another alternative out there." Faith Myers, a longtime advocate for the mentally ill in Alaska, said Thursday she had not heard of psychiatric patients being placed in jail because there wasn't room elsewhere. She said that concerns about patient safety have taken a backseat to concerns about staff safety in recent years.